Open to Postural Integration and/or Psychotherapeutic Postural Integration® Practitioners as well as Practitioners in Somatics and Body Psychotherapy (Core-Energetics®, Bio-Energetic Analysis, etc). Enjoy yourself with colleagues coming from around the world and learn advanced Somatic and Bodywork skills focusing on the 4 Diaphragms of Body Balance. We will introduce you to methodological work with the inner core, different release work techniques and pathways to enjoyment of deep inner power. We will also introduce crucial discoveries from the last twenty years in natural and human sciences and implement many of these discoveries throughout the course of the workshop. New ideas and advanced directions for your practice will be suggested and our Advanced Manual will be provided to follow the classwork. The combination of practical work, deep experiential interactions, theoretical understanding of techniques and the enlargement of our system of scientific reference will improve your practice and allow for more robust experiences for your clients. Teaching will be in English with translations possible into Spanish, French, Dutch and German. This training is a wonderful opportunity to meet fellow practitioners and colleagues from all over the world. We will work with the diaphragms of body balance which are the fontanelles along the cranium, the floor and ceiling of the mouth, the thoracic inlet with first rib, the breathing diaphragm and the pelvis. When these diaphragms are released, they begin to shift spontaneously, rhythmically and freely interact with one another creating warmth and wellbeing. To deepen your knowledge base, many state of the art topics will be incorporated including overview and application of somatic methods, body language in action, advanced strategies for addressing developmental/ maturational needs, and unification/integration of polarities. Your skill levels will be further extended with the use of language and meaning in body psychotherapy and the development of consciousness. We also will introduce advanced sessions for working with the core while strengthening the “pilot ego” thereby uncovering one’s life purpose. We will work with the physical aspects and the energy/consciousness of the pelvis expressed through the pelvic floor and the sexual organs and learn to open layers of tissue and feelings while developing healthy boundaries. This helps the client to clear away old frustrations as well as pain and create a new possibility to connect within self and others at a deep intimate level of passion, love and joy. The last stages of Jack Painter’s “Energetic cycle” (excited breath, orgastic breath, ecstatic breath, etc.) that relates to the tissue work around the deep core will also be explored. In order to touch the armored core, we need to recognize how the body organizes its defences and how it forms character patterns of restricted breath, muscular contraction and habitual movement, as well as incomplete emotion and thought. To handle the shocks, traumas and all the continuing demands of our lives, we use characteristic attitudes and habits to try to hold ourselves together, hold on to what we can, hold ourselves up, hold ourselves deep inside or hold ourselves back. By working with our breath and touching the deepest layers of our tissue, advanced practitioners help their clients learn where and how their persistent character armor defends the core and how to let it go. In this advanced training we will cover topics such as relationships are regulators, the social engagement system, the inhibition of action syndrome, the PTSD paradigm, the inflammation paradigm, predisease pathways, etc. In the deep work with the core the advanced practitioner follows the basic segments or diaphragms of body balance which include the fontanelles, the floor and ceiling of the mouth, the thoracic inlet and first rib, the breathing diaphragm, the pelvis and pelvic floor. Some of the deepest work with the core includes release of the core tissues of the pelvis, which holds many of our strongest feelings and attitudes. A thorough understanding of working with developmental and maturational needs is also included. Working with the structures of the core the advanced student learns to help the client open layers of tissue and feelings in a safe and respectful way beyond the initial 10 sessions of the Postural Integration Model. 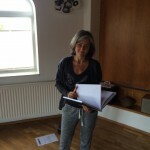 Advanced techniques and strategies will be taught to help the client clear away old frustrations and pain, to connect with self and others and ultimately connect at a deep and intimate level of love, joy and fulfilment. Using the advanced somatic methods, you will learn new ways of helping your clients release their deepest armoring. Yet with the release of these very old habits and attitudes, they also need help finding a new centre and integrating this newfound change into their lives. By coordinating tissue, breath and feeling with special somatic strategies, you as a practitioner help clients more fully integrate major dimensions of the self, such as genetic inheritance, left and right hemisphere, sensorimotor functions and masculine-feminine sides. By interacting skillfully with the core, advanced practitioners learn powerful ways to help the top of the body to cooperate with the bottom, the right and left sides to function as a team, and the front and back to move harmoniously with each other. With the discovery of a new inner center, energy can then radiate outwardly and inwardly in flowing waves through all the body diaphragms in a socially engaged and spiritually rich manner. Different possibilities and new directions to enhance your private practice will be suggested. While all this work and new strategies are very powerful, we also realize the importance of spending time to discuss case studies coming from group members as well as the trainers. To enrich and deepen this advanced training experience, sharing circles will be utilised from time to time. Cost: 1500 euros. Prices do not include room and board. Accessibility: From the Institute for Bodymind Integration you reach the city center in less then 30 minutes by foot or in 10 minutes by bicycle or bus. Both train stations (Sint-Pieters and Dampoort (take bus 3), the highways (E40 Brussel-Oostende, E17 Antwerpen-Rijsel) are easily reachable in 15 minutes. When: Oct. 11-15 2018 (5 days) + April 4-8 2019 (5 days). Book early if you fly!! Certification: After successful completion of this training and a written 10-page long thesis, you will be granted the title of Advanced Somatics Practitioner for Bodymind Integration / Body Psychotherapy (or Master (Psychotherapeutic) Postural Integrator if you are a (P)PI-practitioner already), issued by ICPIT. 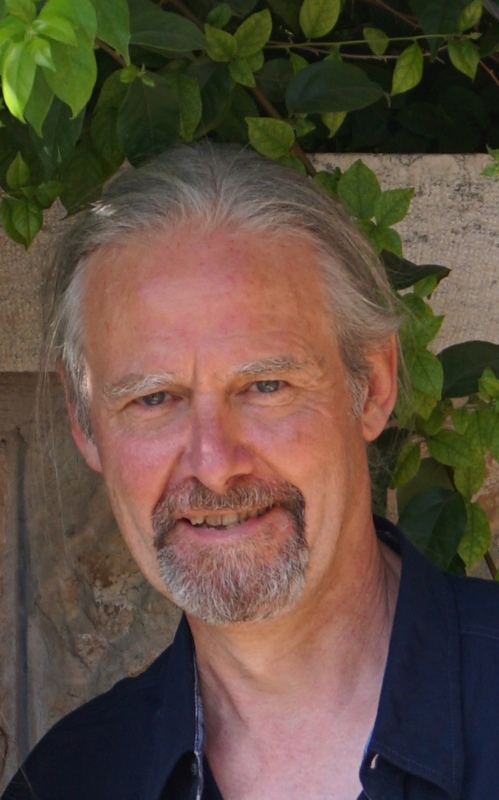 Dirk Marivoet: Registered Psychotherapist (ECP, EABP, BVP-ABP, WAPCEPC) & PT, Psychomotor Therapist (VVPMT), Dirk has more than 30 years of experience working with General Psychotherapy, Body Psychotherapy, Bodymind Integration and Shamanism. He is a trainer of Postural Integration®, Energetic Integration® and Pelvic-Heart Integration® as well as a teacher and supervisor of Core-Energetics (trained with Dr. John Pierrakos, student of W. Reich). 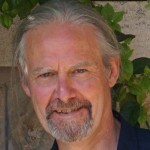 He maintains a private practice in Ghent (B), is the founder and director of The Institute for Bodymind Integration (IBI), secretary of ICPIT and an active academic, co-founder of the Core Science Foundation. Elisabeth Renner is a clinical psychologist, licensed Psychotherapist (BMG) and a trainer of Postural Integration®, Energetic Integration® and Pelvic-Heart Integration®. She worked closely with Jack Painter Ph.D., the founder of these Bodymind Integration methods in his last ten years. 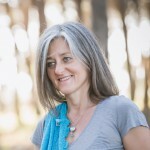 As a professional Bodymind practitioner she has worked in her private office over the past 20 years. Part of the year she lives in Hawaii, where she is conducting seminars that incorporate the healing effects of nature on the body, mind and soul. These workshops include swimming with wild dolphins and Humpback whales. Geniet samen met een groep collega’s afkomstig uit de ganse wereld en leer Advanced Postural Integration & Somatics sessies geven. Wij zullen de deelnemers introduceren in methodisch werk met de kern, met veel werk rond het bevrijden en genieten van diepe kracht, evenals de toepassing van cruciale ontdekkingen van de laatste twintig jaren op het gebied van de natuurwetenschappen en de menswetenschappen. De combinatie van praktisch werk, diepe ervaring, theoretisch begrip van de techniek en de uitbreiding van ons wetenschappelijk referentiesysteem zullen je praktijk voortstuwen en robuuster maken. Gevorderde richtingen zullen gesuggereerd worden. Je kan tevens de lessen volgen met ons handboek. Dit zal een meertalige ervaring zijn. Het onderricht zal gebeuren in het Engels (vertalingen zijn mogelijk in het Frans en Duits waar gewenst). Het is een prachtige gelegenheid om beoefenaars-collega’s uit de ganse wereld te ontmoeten. Read “Transformation of the Self with Bodymind Integration”, written by ICPIT trainers of Postural Integration honoring 40 years of PI-training in the world.